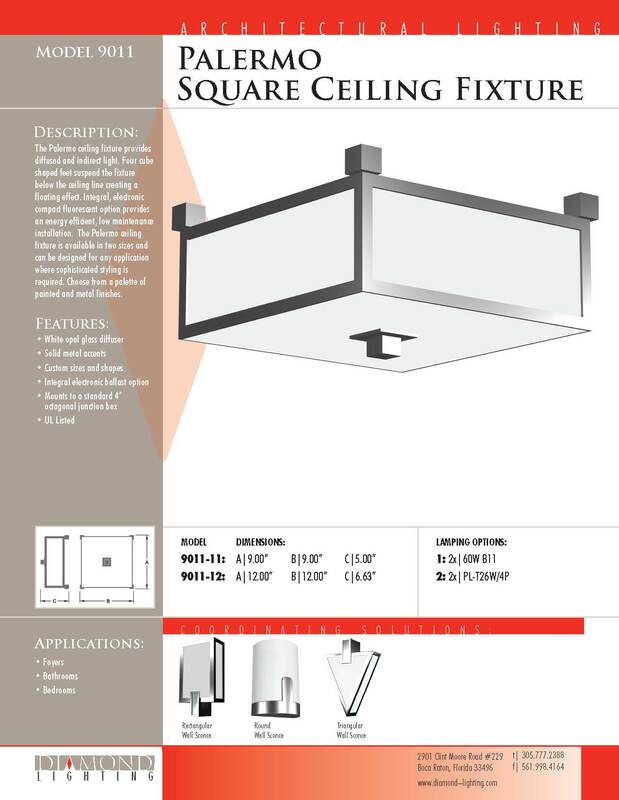 The Palermo ceiling fixture provides diffused and indirect light. Four cube shaped feet suspend the fixture below the ceiling line creating a floating effect. Integral, electronic compact fluorescent option provides an energy efficient, low maintenance installation. The Palermo ceiling fixture is available in two sizes and can be designed for any application where sophisticated styling is required. Choose from a palette of painted and metal finishes. The Apollo semi flush provides indirect light. Integral, electronic compact fluorescent option provides an energy efficient low maintenance installation while maintaining a uniform wash of light on the surface above. Available close to the ceiling or with longer stem lengths. The Apollo can be designed for any application where sophisticated styling is required. 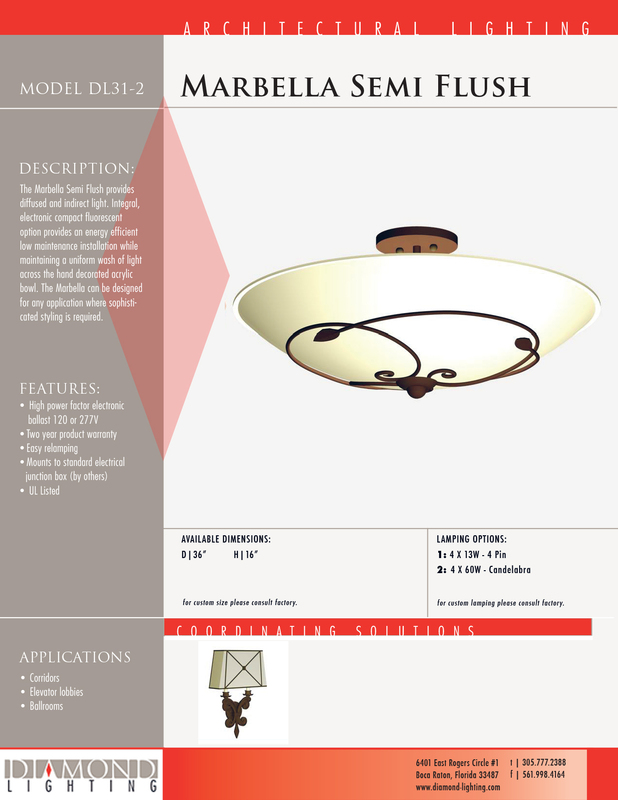 The Marbella Semi Flush provides diffused and indirect light. Integral, electronic compact fluorescent option provides an energy efficient low maintenance installation while maintaining a uniform wash of light across the hand decorated acrylic bowl. The Marbella can be designed for any application where sophisticated styling is required. 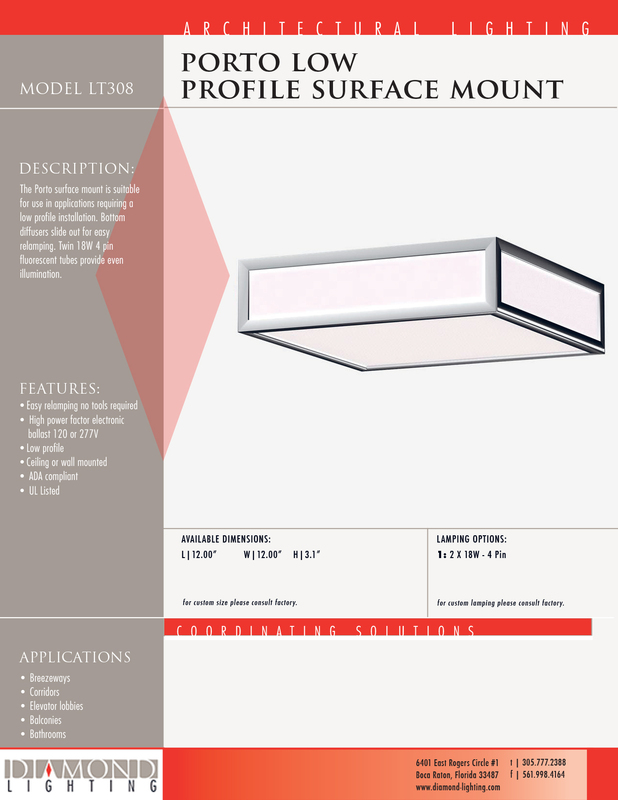 The Porto surface mount is suitable for use in applications requiring a low profile installation. Bottom diffusers slide out for easy relamping. Twin 18W 4 pin fluorescent tubes provide even illumination. 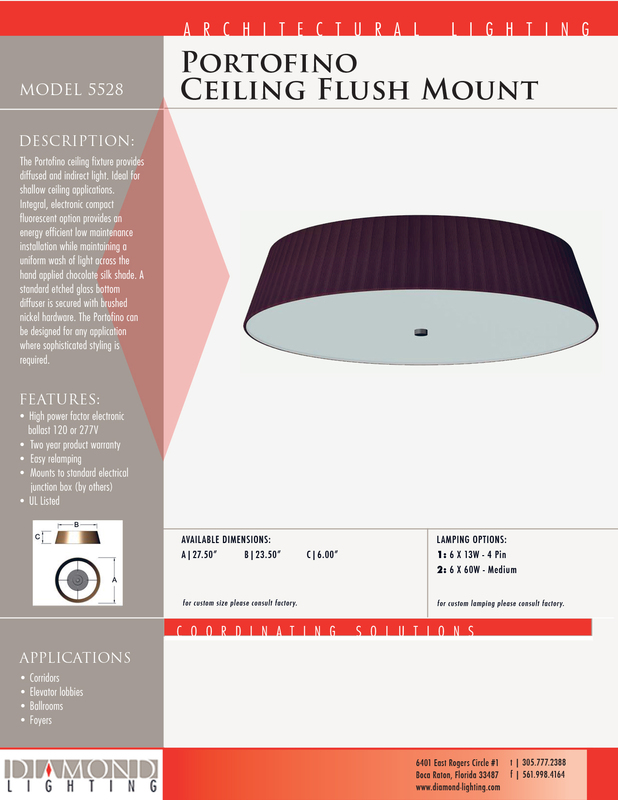 The Portofino ceiling fixture provides diffused and indirect light. Ideal for shallow ceiling applications. Integral, electronic compact fluorescent option provides an energy efficient low maintenance installation while maintaining a uniform wash of light across the hand applied chocolate silk shade. 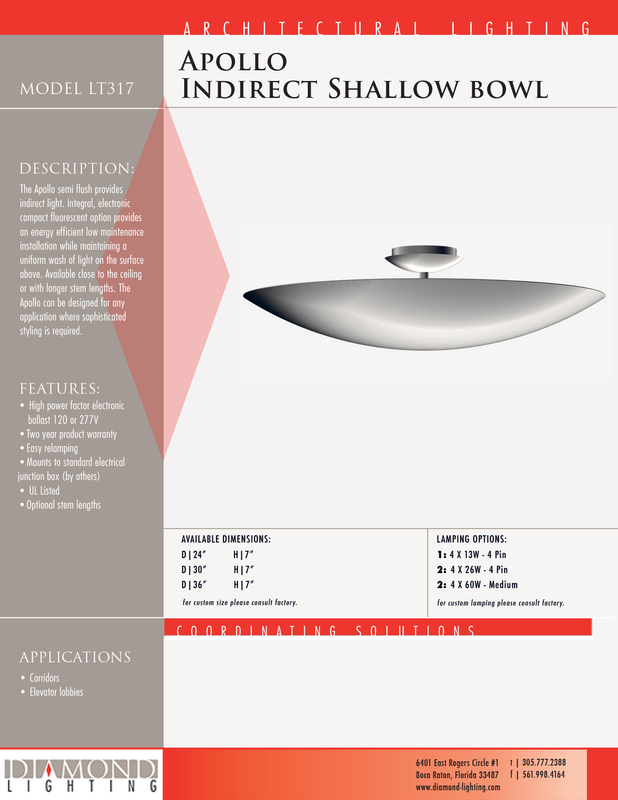 A standard etched glass bottom diffuser is secured with brushed nickel hardware. The Portofino can be designed for any application where sophisticated styling is required. The Glow Surface Mount is suitable for use in applications exposed to weathering and UV-radiation. Canopy and bottom polycarbonate diffusers are temperature and impact resistant. The canopy diffuser is available in blue, red, green, purple, and white. 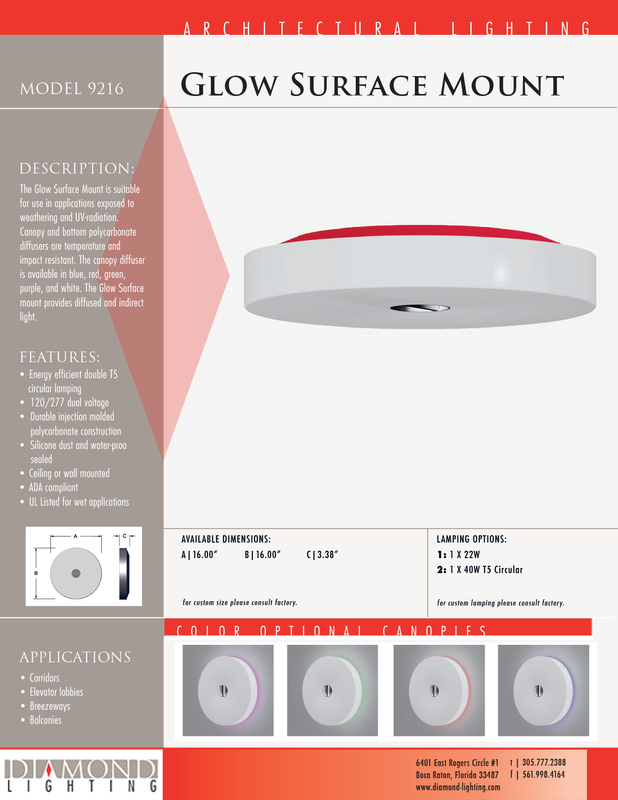 The Glow Surface mount provides diffused and indirect light.